This tour is a non-traditional experience and different way to get to know Tallinn. The tour group is divided into four groups – 4-8 persons per group. Groups will visit the same spots at different time where they solve different tasks and riddles. Having completed the tasks on the spot, the game instructor gives a hint or riddle about the next destination. The group must find the way from one spot to another! Groups have no facilitators but they can call any time for help line. Game instructors in medieval costumes will judge and assist the teams on the spot. They give points according to results. The final destination is at the front of Town Hall where the teams give the Game Passports. Winner is the team who has achieved the most points. The winning team is announced in a small ceremony during the dinner in the medieval restaurant. Opened in 2006, KUMU is the largest art museum in the Baltic States and one of the largest art museums in the Northern Europe. The designer of this impressive new main building is Finnish architect Pekka Vapaavuori. KUMU presents both permanent collections and temporary exhibitions. The main collection covers Estonian art from the 18th century onwards including works from the occupation period (1941–1991). Temporary exhibitions comprise of both foreign and Estonian modern and contemporary art. 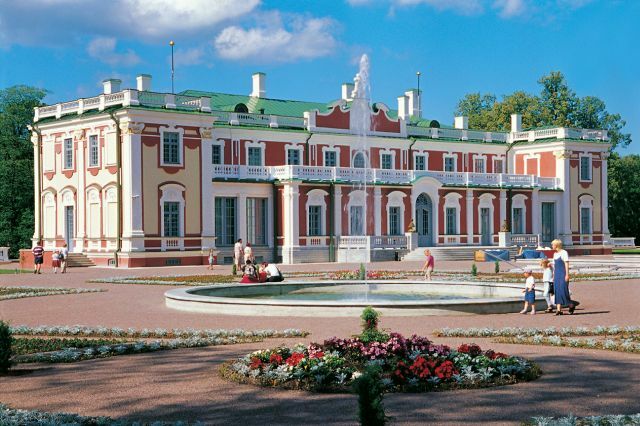 During this tour you visit the magnificent Northern Baroque palace built by Peter the Great for his wife, Catherine I, in the early 18th century. The grandiose palace and surrounding manicured gardens are a humbling example of Tsarist extravagance. 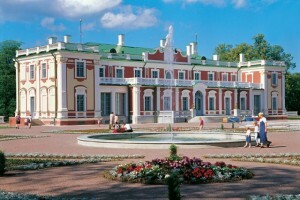 The palace is also home to the foreign art collection of theArt Museum of Estonia. Sea fortress Patarei is a unique monument of architectural monument built in 1840. In 1919 the fortress became a prison. Because of its two meter walls it suited very well for that purpose. It was also used by all foreign powers occupying Estonia. In 2002 the last inmates of the prison were moved to a new facility in Tartu and the Patarei was finally closed down. Today Patarei has preserved its original Soviet interior, which interests both local people and tourists. Visitors can explore the hallways to see cells, work areas, exercise yards etc. Patarei prison is not a regular museum. The numerous and mysterious passages in Tallinn’s fortifications were built along with the bastions in the 17th and 18th centuries. The passages were probably commenced already in the 1630s. The passages also served as observation posts to spy the enemy’s activities in mining explosives. The tunnels for the passages were made of limestone. They were 1.5 m wide and 2.5-3 m high and as a rule covered by barrel vaults. 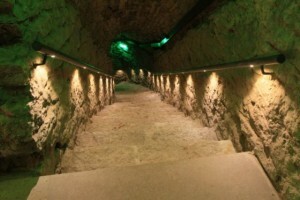 The total length of the passages is hundreds of meters and 380 m of them are open to the visitors. In 1857 the earth bastions were erased from the list of fortifications and after that the Municipality turned them into parks. During the years of Soviet occupation they were provided with separate electricity and ventilation systems, running water and telephone communications. The network became an underground township with bedrooms and toilets included. In 1970s the youth movement Kodulinn did some cleaning in the passages. In the 1980s the passages under the Ingermanland Bastion (Harjumägi) were used as a store for sculptures belonging to the Art Foundation but the danger of thieves forced the authorities to move the sculptures elsewhere. Since then the passages have been empty. Beginning from the 1990s some homeless people found shelter in the deserted passages. During this three – hour cruise in Tallinn bay you can enjoy the view of Tallinn from the sea. Passenger port and the historical Patarei prison will be passed and the historical steam icebreaker – “Suur Tõll” and the submarine “Lembitu” will be also visited. A small meal at the sea can be arranged. A bus will take you to the open air museum “Rocca al Mare”. The museum is located only four miles from the city centre. After 15-20 minutes drive tourists start a walking tour through a beautiful forest area on the sea coast. During the tour you will see numerous buildings from the 18th and 19th centuries which reflect the rural life-style of the Estonian culture of that time. You will have a chance to see the farmhouses, country pubs, windmills, chapels etc., which are displayed together with corresponding furniture and household appliances. 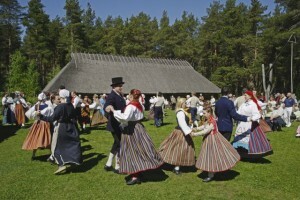 A folklore group will perform typical dances and provide musical entertainment. In the tavern you can enjoy typical Estonian refreshments. You also have the opportunity to view and purchase local art and craft. In the National Park Lahemaa you can see coastal lowlands, pine forests, limestone cliffs, stone fields, waterfalls and rapids. After one hour’s drive from Tallinn you will make a short hike through the Viru bog. Your tour continues to the captains’ village of Käsmu, one of the best known resorts in the Northern Estonia – Võsu and to an old fishing village of Altja. At Altja tavern you can enjoy a typical Estonian lunch. After lunch you will see the Palmse manor, which is an 18th century baronial property of the von Pahlen family. Back in Tallinn you will be taken to the upper town. On the Dome Hill you will visit the Russian Orthodox Church, inaugurated in 1900 and the 13th century Gothic style Dome Cathedral, which still has numerous cote of arms of families of German-Baltic descend on display. You will have a chance to take a look over the rooftops of the Lower Town from a scenic viewpoint.